This is in Abingdon. The sign in the picture on the left faces the Porterfield Highway; the sign on the right, Russell Road. 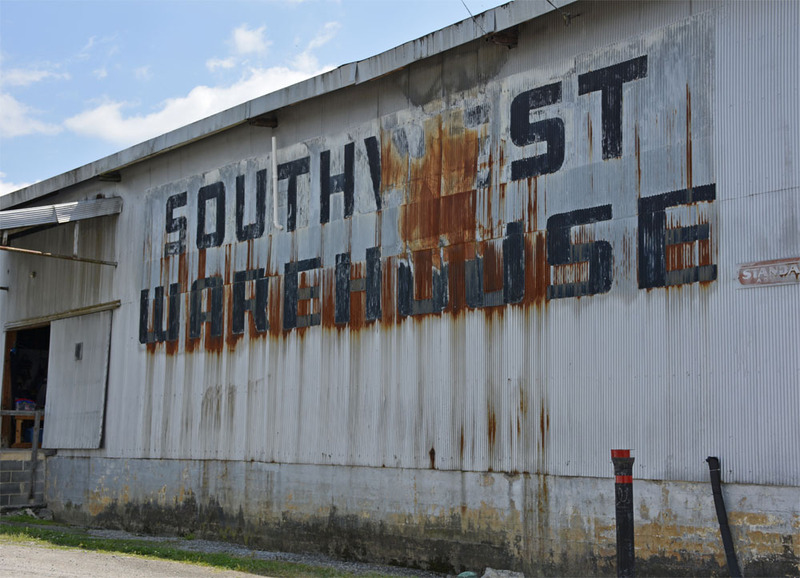 It’s a typical former tobacco warehouse, probably built in the late 30s. It burned down in the ’50s and was rebuilt in this configuration. The last tobacco auction was held here in 2005. It’s got plenty of room for vendors. According to the owner, they have had flea markets here for ages in the off periods from March through August. 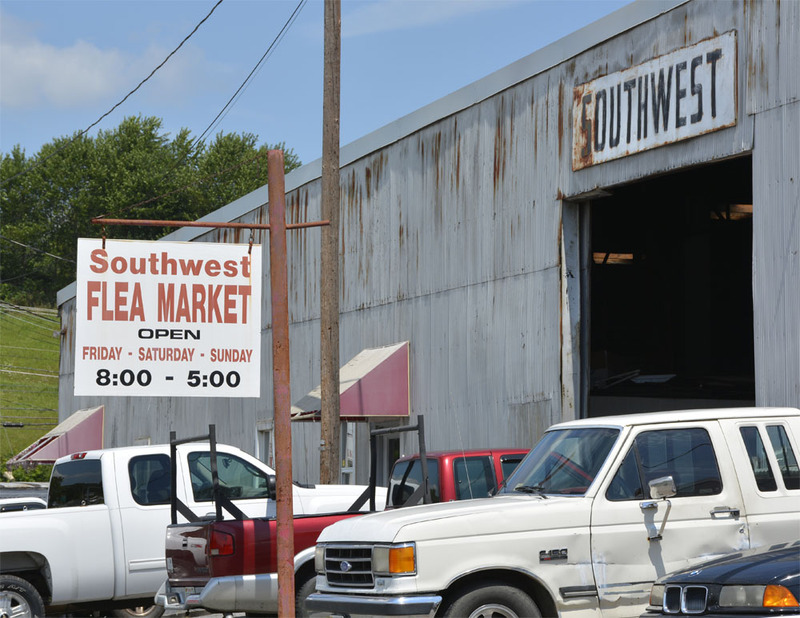 “Then we’d move the vendors out for the auctions,” the owner said. 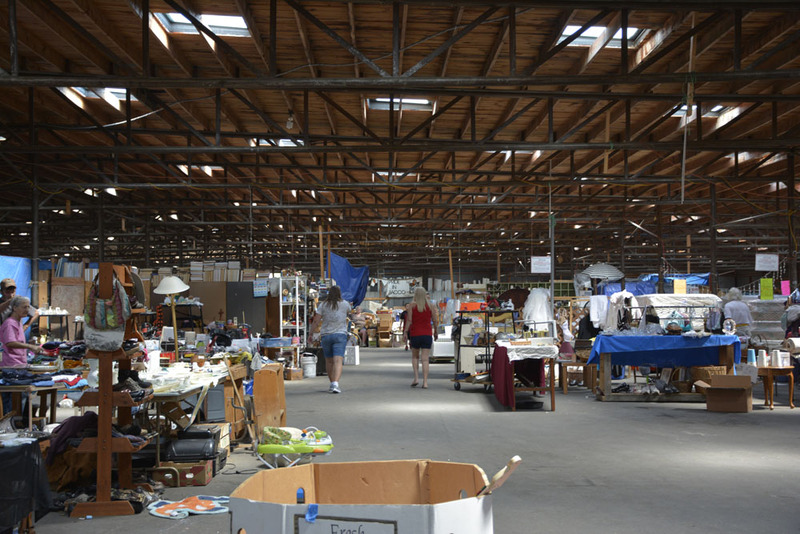 At times, part of it was also leased out to companies for storage use.